Vegetable Kurma is very delicious gravy. This can be sidedish for Poori, Chapathi and any rice dishes. My FIL taught me this, as he prepares it so yummy. This is there pending in my drafts since long long time so finally up! Tomato few slices for garnish. Heat a kadai with oil, add spices and saute for few mins. Add onions, ginger garlic, green chilli and saute till onions transparant. Add all the vegetables, salt, turmeric and little water. Cover it and let it cook. Grind coconut and cashews with little water to smooth paste. Once the vegetables are just boiled add the smooth paste and water and boil. Check on salt and when its combined well. Off the stove. Garnish with slices of tomato. Serve hot with Poori/Dosa/Appam/Rava Idli/Chapathi/Pulao/Biryani Rice/Steamed Rice. 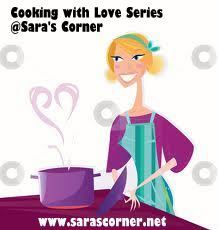 This recipe is going to Cooking with Love Aunt guest hosted by Akheela started by Saraswathi Iyer. My Aunt was very affectionate good in traditional cooking, she passed away 4 yrs back, daily I miss her a lot as she also taught me cooking. This korma looks splendid..Yummy and colorful. Nice and tasty looking kurma..beautifully presented. Lovely Kurma. Perfect for event. Hi Sara, I mailed you the details for my event Healthy food for healthy kids long back. I didn't receive any reply from you. Did you post the announcement for the event? It starts from today. Plz let me know. hmmmm....yummy yummy veg korma...looks very tempting !!!! Nice, easy and quick recipe.